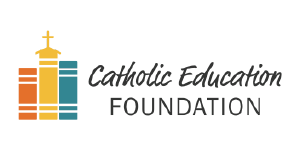 Holy Family Catholic School participates in the National School Lunch and Breakfast programs. We contract with USD 501 to provide breakfast and lunch for the students. It is for this reason that students are not allowed to bring in any restaurant food to school during the breakfast or lunch period. The cost of breakfast is $2.05 per meal. The cost of lunch is $3.05 per meal. Milk may be purchased for $0.50. Additional servings of milk are $0.50. Parents are welcome to eat with their student. Adult breakfast is $2.15 per meal. Adult lunch is $3.75 per meal. Adults should call the school office in the morning before 8:30 if they will be eating lunch that day. Meal account payments may also be made in the school office. Meal prices and menus are subject to change.